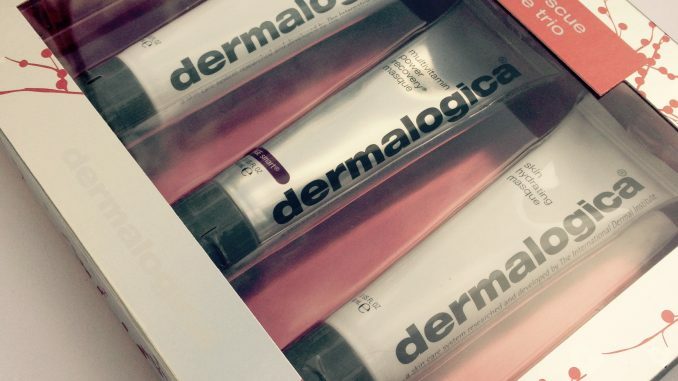 Skincare experts Dermalogica have a bunch of lovely limited edition gift sets out right now and today we’re looking at my favourite – the Power Rescue Masque Trio. Although this is released with Christmas in mind, the red and silver packaging isn’t too obviously festive, so this would be a good bet for a Winter birthday too. It can be hard to buy a skincare gift, but this is a pretty solid buy since the user customises it to suit themselves. The set contains half-sizes of three of Dermalogica’s most popular masks, so it’s a good way to try them out before investing in full size. The value is around £53, so the RRP of £43 is pretty good too. 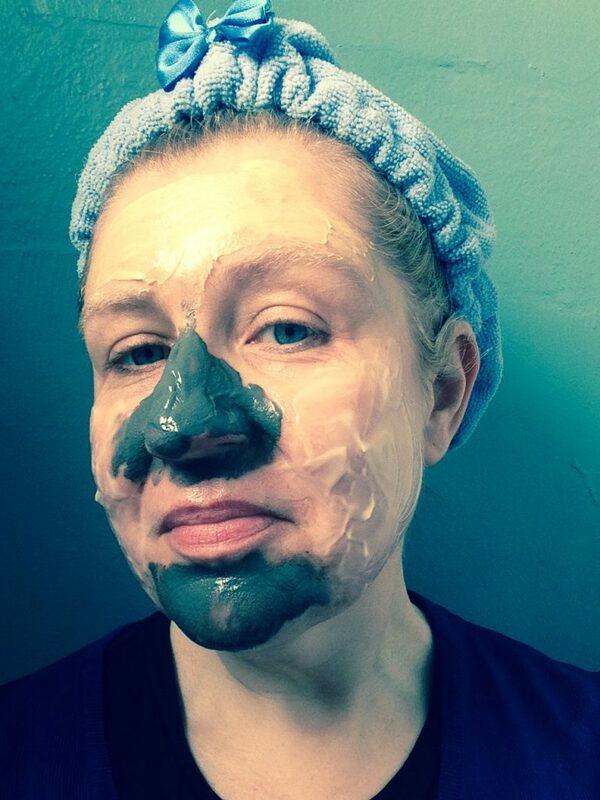 The dark grey charcoal mask aims to address skin dullness, breakouts and sensitivity. It has a slightly gritty feel to it, making it lightly exfoliating when you wash it off. Leaves skin healthy and glowing. This powerful mask contains concentrated antioxidant vitamins to help skin recover from damage and promote healthy tissue regeneration. A good one if you’ve been overdoing the festive celebrations and your skin is feeling the effects. In other words, slap it on when you’ve got a hangover. This one gives your skin indepth moisture. It’s beautifully hydrating – almost worth getting a hangover for. So you could use each of the masks individually, or just chuck them all at your face at once, Opposable Thumbs style. I think most skincare enthusiasts would be delighted with this set as a gift. It’s from a reliable brand, so you can count on the quality. There’s enough variety to suit most skin types. Plus it looks pretty and it’s easy to wrap, hangover or not. The only issue is that you might want to keep it for yourself. Dermalogica Power Rescue Masque Trio (RRP £43.25) is currently available from authorised Dermalogica stockists (including John Lewis) and the Dermalogica website here.